SIMON GROTH is a writer and editor whose books include Off The Record: 25 Years of Music Street Press and Hunted Down and Other Tales. 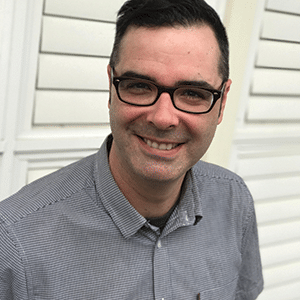 Simon’s work and reporting on the future of the book with Queensland Writers Centre has seen him travel the globe to discuss and explore the challenges and opportunities for writers and readers in a digital world. His latest book is Infinite Blue, which he wrote with his brother Darren Groth. He lives in Brisbane, Australia. For more information, visit simongroth.com.